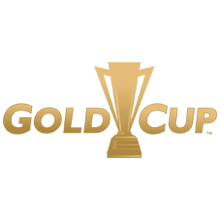 Gold Cup tickets for the Quarterfinal matches will allow fans access to a doubleheader in each hosting city. Houston fans will see 1B v 2A and 1A v 2B while fans in Philadelphia will watch 1C v 2D and 1D v 2C. Get your tickets through TicketmasterVIP now! Your Gold Cup match ticket includes access to the Official Gold Cup VIP Hospitality presented by PRIMESPORT! Enhance your experience at Gold Cup with exclusive access to Official Hospitality. As part of your hospitality package, you will have in-and-out access to Club PRIMESPORT during the break between matches, located inside NRG Stadium. Come and relax in-between matches in this exclusive lounge featuring a buffet style meal, open non-alcoholic beverages, cash bar, and more! SEE FULL DETAILS > Your purchase includes access to the Official Gold Cup VIP Hospitality presented by PRIMESPORT! Enhance your experience at the Gold Cup Quarterfinals with exclusive access to Official Hospitality. As part of your hospitality package, you will have in-and-out access to Club PRIMESPORT during the break between matches, located inside NRG Stadium. Come and relax in-between matches in this exclusive lounge featuring a buffet style meal, open non-alcoholic beverages, cash bar, and more! SEE FULL DETAILS > Your purchase includes access to the Official Gold Cup VIP Hospitality presented by PRIMESPORT! Enhance your experience at the Gold Cup Quarterfinals with exclusive access to Official Hospitality. As part of your hospitality package, you will have in-and-out access to Club PRIMESPORT during the break between matches, located inside Lincoln Financial Field. Come and relax in-between matches in this exclusive lounge featuring a buffet style meal, open non-alcoholic beverages, cash bar, and more!